Approx. from Cambie & 16th Ave.
Zip down West 16th and leave the hustle and bustle of the Cambie corridor behind as you drive alongside Pacific Spirit Park before entering Wesbrook Village. This is Wesbrook Village’ grandest entrance, with a tree-lined boulevard leading you past the upscale neighbourhood of Southlands and right into Wesbrook Village. 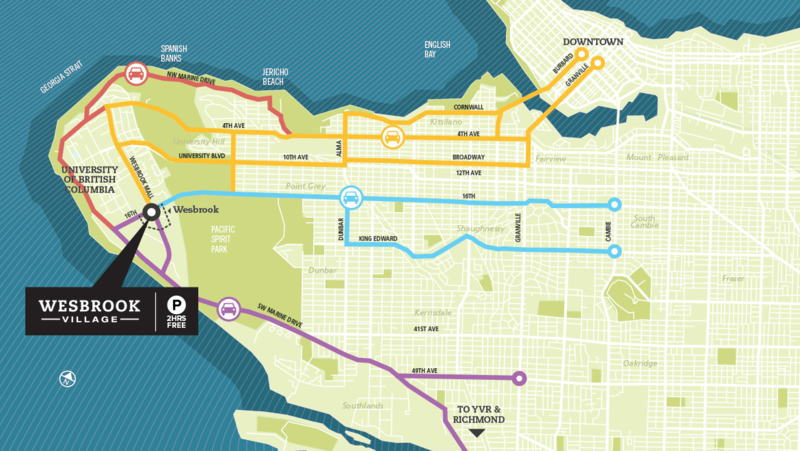 Cross one bridge into the West Side, and then people watch along Kitsilano’s Cornwall, or b-line right to Wesbrook Village along Broadway. 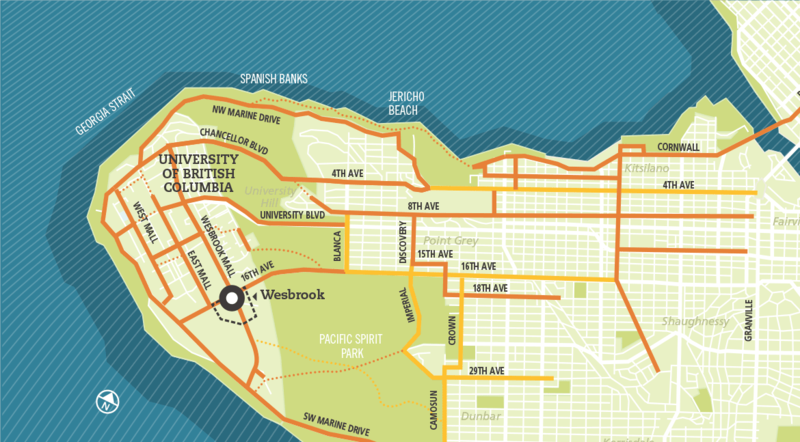 Reach Wesbrook Village via the scenic route, traveling past Jericho beach, the Museum of Anthropology and the entrance to Wreck Beach. It seems every route to Wesbrook Village is a bike route. Try the perimeter road for the sweetest, fastest ride, i.e. NW and SW Marine Dr. 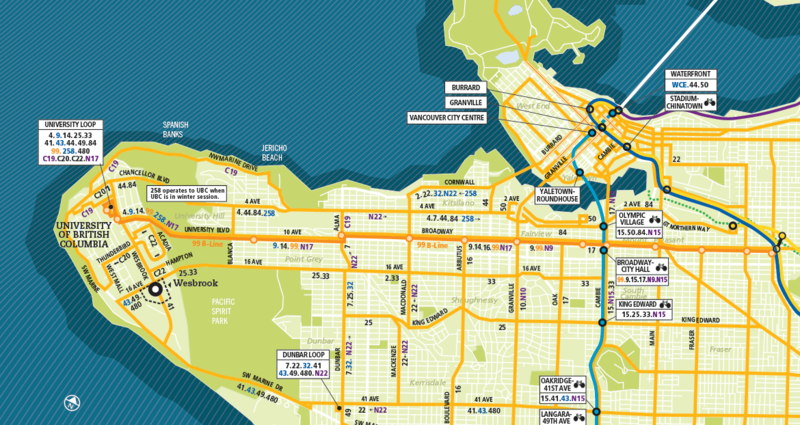 Check out Translink’s free service to plan your trip from anywhere in Metro Vancouver to UBC. One easy stop is Wesbrook Village – an area serviced every 4 minutes during peak hours.